How much should we pay people? Who do we promote and who do we fire? The trouble is that Performance Appraisals really aren't very good at determining any of these things. 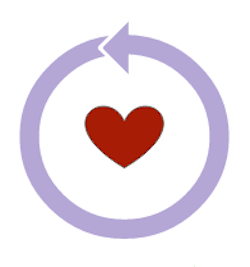 As anyone who has participated in one will know, they are time consuming and happen too infrequently for goals to be meaningful or for people to learn from the feedback they receive. Other problems are well understood. 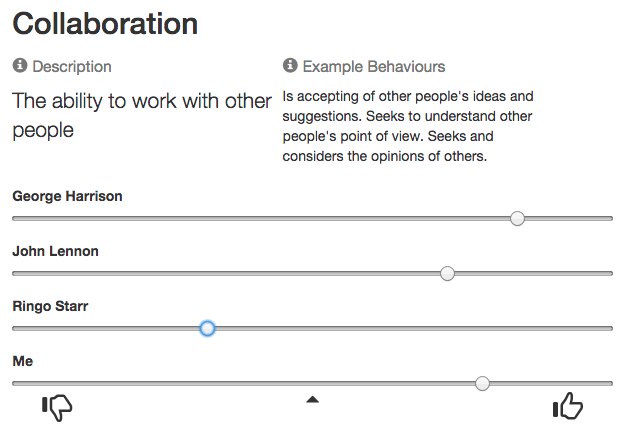 Feedback is given by only one person who, being human is prone to bias. The feedback flows in one direction only i.e. ‘downwards’ from someone who is in a position of authority. This is hardly conducive to the kind of conversations that might help people to grow. Leaving aside personalities and competence, it is hard to be candid about one’s shortcomings with the person who ultimately controls your career. It also creates an enormous challenge for review managers, who often feel uncomfortable with the arrangement and who would appreciate candid feedback themselves. Finally, Performance Appraisals are especially damaging for Agile teams, where collaboration is highly valued and easily undermined. Some Agilists have even suggested that people refuse to participate in them altogether. No wonder everyone, including HR, find the whole exercise frustrating and demoralising. Surely there is a better way? Something that is inclusive, frequent and fairer to all concerned. These too are heavy, costly and mostly reserved for management. Subjects can 'game' the process by selecting who rates their performance. Finally participants don’t get to see the feedback directly, receiving a filtered version which has been “assessed” by a “superior”. 360 peer reviews are a step in the right direction but ultimately suffer from the same problems as regular Performance Appraisals i.e. they are too infrequent, not inclusive and can be gamed. Not much help for an Agile team. 15 years ago, I was attracted to Agile because it empowered people challenge ineffective and wasteful practices. Thankfully, there is now a growing recognition that the traditional approach to Performance Management (TPM) doesn’t work and overall, possibly does more harm than anything else. TPM enforces hierarchical culture. Not surprising then that the drive towards increased business agility has created a movement away from TPM to something that embodies the progressive values of modern organisations, such as respect, autonomy and engagement. 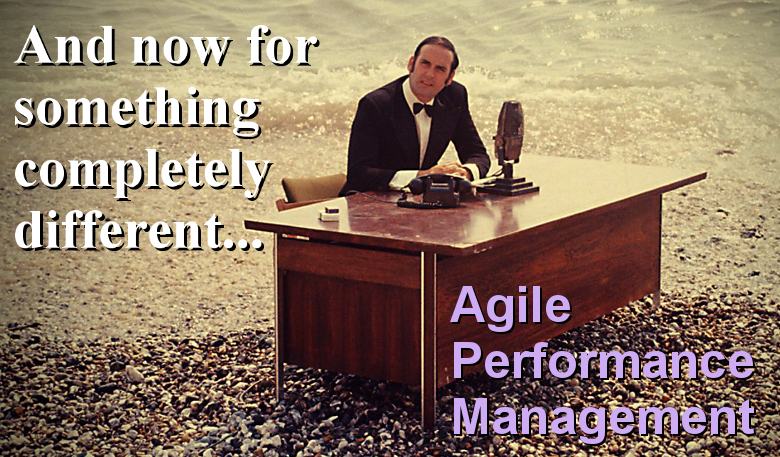 That something is called... Agile Performance Management (APM). So how does APM propose to answer the gnarly questions we started with? Firstly let’s separate some things out. When it comes to pay, we begin by acknowledging the ideas popularised by Dan Pink about motivation. Pay people enough to take the issue of money “off the table” and whatever profit sharing we do is carefully considered to incentivise teams and collaborative working. There is still lots of work still to be done in this area, but at least it is starting from a better understanding of how people behave. Assurances need to be provided around confidentiality and anonymity so that people are able to be candid and give meaningful feedback. Team members are also given full control of the feedback they have been given. This enables them to have confidence that no one else can see their feedback without their knowledge and prior agreement. We provide appropriate coaching support to help team members act on the feedback they receive, and also for the team to call for help if it has a problem it cannot resolve. 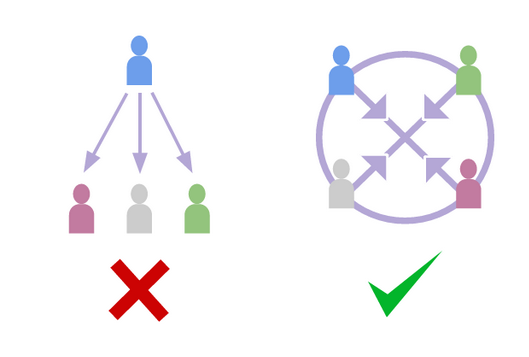 Enabling the continuous exchange of feedback between everyone in the team creates a lot of feedback, so we need be really smart about how it is gathered. 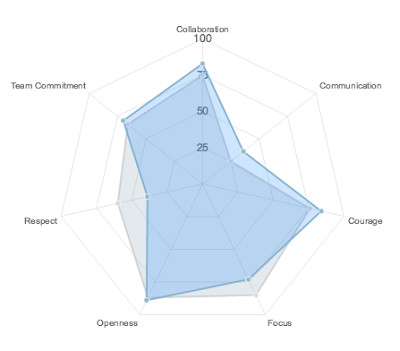 The first part is for team members to give competency ratings. 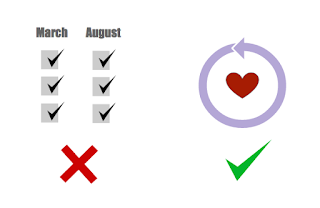 Relative rating is light and fast, providing context for the supporting verbal feedback. Because everyone is exchanging ratings, the wisdom of the crowd can be employed to eliminate individual bias. Carefully formulated commendations and recommendations recognise great competency behaviours and suggest ways in which people can improve. Capturing feedback throughout the review period when behaviours are observed and relevant makes it more meaningful and less onerous. 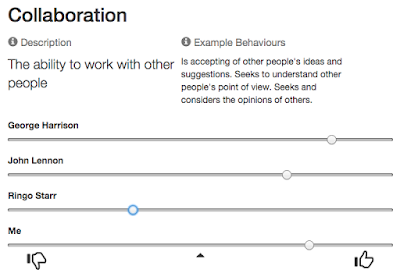 Appropriate visualisations provide a way into face-to-face conversations that develop an individual team member’s competencies and those of the whole team. The nature of these conversations having been agreed by the team up-front. The traditional approach to Performance Management is ineffective and a poor fit for Agile teams. Sadly, 360 peer reviews aren't much help either.